Which contact list style are you using in your screenshot? Great job! 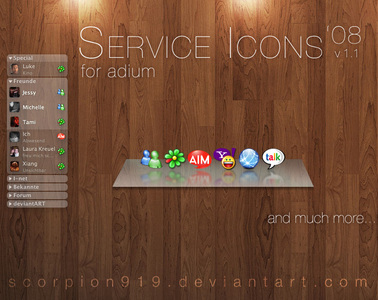 This is my favorite service icon set. .Mac is now called MobileMe and has a new icon, a cloud. Would love an update for that change. Nice work! Quick question... (slight off topic). What wallpaper is that?